Disclaimer: I was provided with products in order to give my honest opinions. Your views may differ to mine. Please enjoy responsibly. New year is a stones throw away and the holiday's are not over yet. I had the chance to try out Camus VS Elegance and, as someone who can really appreciate and enjoy a nice Cognac - Camus does not disappoint. with a light caramel-gold color right out of the bottle and onto some rocks, this is a smooth, light and delightful drop that I would honestly drink alone without a mixer because it is so delicate and refreshing on the tongue. This drop fills the air with a fruity, sweet note that doesn't overpower and which lends a boost to the taste as you sip it down. Think of a little vanilla, caramel, cinnamon in the background, a easy to sip, lots of character and a gift that keeps on giving - A bottle of which can rage from about $27 to $45 or more depending on where you buy. No matter what you pay for it, it is easily worth every penny and one of the best Cognacs I've had the pleasure to try. If you were to mix it, though, for a longer drink, perhaps a cola would suffice or (as Camus's website suggests) a little green tea, whichever you prefer. I wouldn't mix this down too much as you wouldn't want to drown the flavor. It really is wonderful just on its own. Cognac reminds me of nights I spent with friends in good times living in England. I rarely drink it these days, but this is such a warming and comforting drink that I would be delighted to gift this to someone for a holiday or special event and would happily see in the new year with a short glass or two of Camus VS Elegance and some festive cheer. To check out more about Camus Vs Elegance, you can visit HERE. 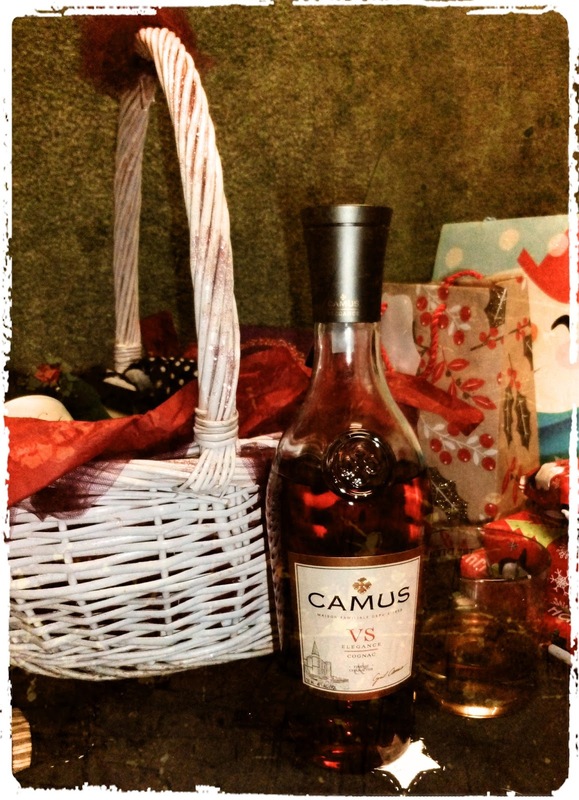 You can also find them on social media, too - Twitter is my preferred platform (@CamusCognac). Please remember to enjoy responsibly and savor every sip!